Jean-Paul Deshong is an artist who has published books for Dynamite Entertainment, Zenescope Entertainment, Image Comics, Arch Enemy Entertainment, and Dark Horse Comics. He also co-created and drew the indy book Goddammit Baby, This Is Soul. Jean-Paul has recently self-published his first solo outing, Sons of Fate (Origins). IM: How long have you been making comics? JPD: I’ve been in the comic field for going on 15 years now, at least professionally… and sporadically. IM: What attracted you to the medium? JPD: That’s easy. I was an 80s child that grew up on watching shows from the 60s Batman to Spiderman and his Amazing Friends, and everything else in between. There is also the fact that I had an interest to draw since I could hold a pencil. IM: What kind of training have you had to get you to the professional level? JPD: I went to art school through college. With all my formal training however, my best and most useful training is practice, practice, practice. IM: Who would you consider to be your biggest inspirations, whether in terms of style/craft, or on a more personal/professional level? In what way(s)? JPD: My biggest inspirations came from the comics I read, as well as the cartoons I watched as a child (including anime). I was always fascinated with cartoons, as I imagine every child was. But for me, that feeling was heightened when I learned that they were created by people. IM: How did you get your start in comics? JPD: I did a lot of independent books (very independent books) throughout college. Some of them were published, some weren’t. In 2010, I received my big break from Zenescope publishing. My first book was Grimm Fairy Tales. IM: Where might we have seen your work before? JPD: Well, that depends on how far and well you can dig. As I said before, you probably could easily find most if not all of the books I did for Zenescope (Grimm Fairy Tales, Neverland, Tales of Neverland, and Neverland Crossover), BUT I did a few books for Digital Webbing in the early part of the millennium. After Zenescope, I did Damsels: Mermaids for Dynamite Entertainment. I am currently drawing comics for Arch Enemy Entertainment (Big Bad Wolf and the upcoming Legendary). These books can be seen at the USA Today website and at arch-enemy.net. IM: On to your current work, what would you say first sparked your interest in ancient Japanese history? JPD: Along with my enduring and (cough, cough… clearing throat) complicated love for comic books in general, I am a fan of eastern art, especially anime and manga. When I started to indulge in the idea that I might create my own book, a samurai book seemed appropriate. I grew up on samurai and kung-fu movies. IM: What is the basic story behind Sons of Fate? 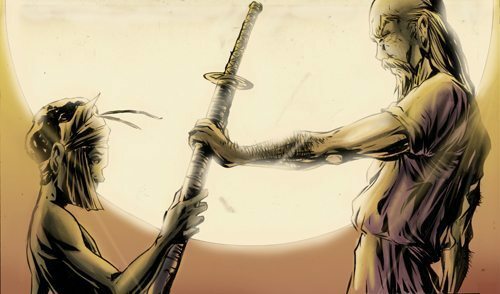 JPD: A lost chapter in the history of ancient Japan and the code of the Samurai via an unlikely warrior from the most foreign of lands. 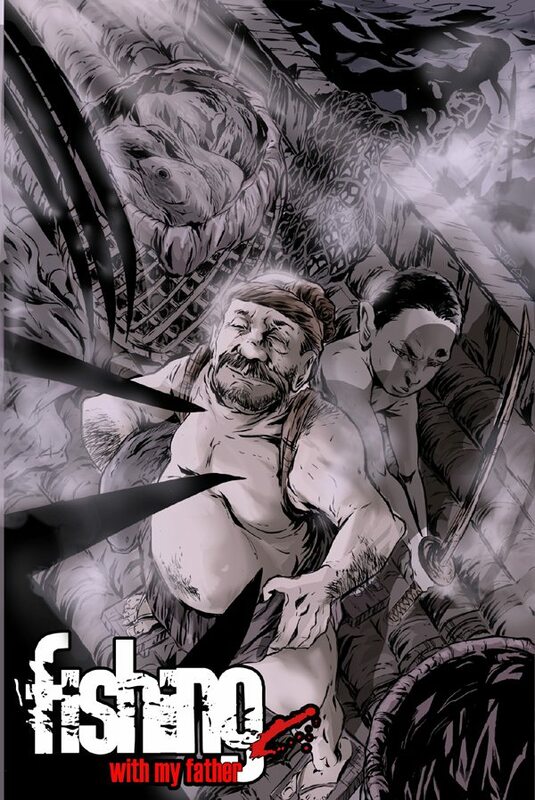 IM: The webcomic Fishing with My Father is billed on your website as a prelude to the series. Can you elaborate further? What more do we learn in the webcomic that informs the main title? JPD: The webseries comprises stories that expand the Sons of Fate Universe. Fishing with my Father, as well as the stories that follow, are just that. I created the web series for two reasons. For those who read the graphic novel, they get ongoing content that tells a backstory to one of the protagonists (or even antagonists) of the graphic novel. The webseries gives the reader a greater understanding to those characters, and thus, a greater understanding to the Sons of Fate. It being its own self-contained story, it can serve as not only a bridge between the launches of the three books of the Sons of Fate trilogy, but also (the second reason) as a introduction to those new to the Sons of Fate universe, who are looking to see what the story is all about. IM: In doing your research for this title, were there any surprises along the way? JPD: Gotta give you a big “NO” on that one, thankfully. There was, however, A TON of research involved—and now, checks and balances—as I put the story together to make sure everything is accurate. That makes it a lot harder but, at the same time, I am ALWAYS finding and adding little things to add to the story. IM: What can you tell us about the characters? What makes them tick? JPD: Duty, love, loyalty, ambition, rage, enlightenment, and finally, understanding. …In that order. IM: Was this your first time stepping into the writer’s chair? 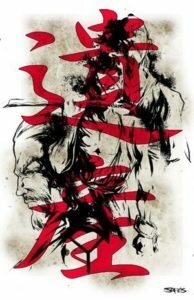 How have you been able to handle both the art and the writing on this series without getting overwhelmed? JPD: Yes and no. Mostly yes… as a complication, NOT overwhelming. I wrote the ENTIRE series before I started drawing it. That was necessary in order to create the symbolism and nuance in the story. I found out (very quickly) that the “writer me” and the “artist me” are two different dynamics. In the experiences I’ve had before I wrote Sons of Fate, I found that I was always able to be more creative and expressive in the artwork when the writer “allowed me” to paint the scene they set up for me. When it came to writing my own stories, that seemed the best way to go. As an artist, taking the reins of the story, knowing the freedom I’d created, I noticed (only at the drawing stage) that details were left out. Creatively, it makes for a better book, but there were times when I had to go and define details that had stopped the process of drawing the pages; which took up more time. So, I wouldn’t say it was overwhelming, but frustrating. Fortunately, over time, both sides have come to a peaceful compromise and it is no longer a problem. IM: What prompted you to go the self-publishing route with Sons of Fate? JPD: I wanted to be hands-on 100 per cent involved in every process of the book. I’m a bit of a micro- manager, but this way, I have control over how the book comes out. IM: How have you been marketing and promoting the book, thus far? JPD: Ah yes, the dance. It’s not a two-step, or a Charleston… it is a complicated full-on ensemble. A Radio City Music Hall Rockettes meets Dancing with the Stars performance and, being the micro manager that I am, it is something I want to do. I love it. It’s tedious, but I love it. But I digress. IM: What’s one piece of advice you would give to someone looking to self-publish their first work? JPD: Don’t create something that has already been done (at least, to your knowledge). I know a lot of creators who are working on their iteration of an already popular series. To me, that is a tough mountain to climb and, in the end, if it’s too much like another thing, it won’t stand out. Create something new and creative and, if you are working on something like something else already out there, reinvent it to make it stand out. Saga and The Walking Dead are great examples of that. Saga being a space odyssey, and TWD being a different take on an established and saturated genre. IM: Where do you go from here? What projects do you have next on your horizons? JPD: I have a slew of other books and ideas ready to go after Sons of Fate. All the books are different and they all exist within the same universe, but for now, that’s all the sneak peek I can give you. IM: Is there anything else you’d like to share with us that we haven’t touched on yet? JPD: Yes. In creating art in the comic field, I wanted to do something that expanded outside of just creating a comic book. I want to give those interested in my work a COMPLETE experience. On blackberryjuice.net, I am able to do that. Those who subscribe to the website get free updates on not only new content brought to the site, but free art as well. From digital wallpapers to pay-what-you-want downloads of digital pinups, and from enhanced and colored versions of the webseries to viral videos, blog posts, and limited edition art prints in the gallery collection, I wanted to create an ENTIRE experience. A place where those interested could experience multiple facets of and artistic expressions of not only Sons of Fate, but the graphic novels that follow. IM: Finally, where can we find your books and how can we keep up with you online? JPD: Thank you for your time. This entry was posted in 84 and tagged Ellen Fleischer, Jean-Paul Deshong, Sons of Fate on April 29, 2015 by aipman1.